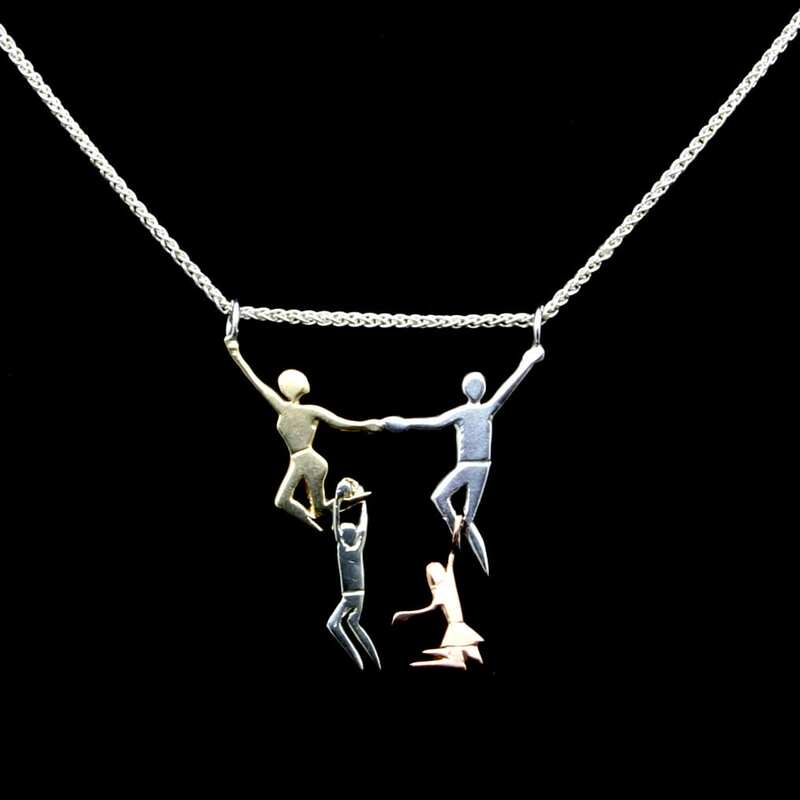 This charming Family pendant was designed and hand crafted by Julian Stephens Goldsmith in collaboration with a client. Our lovely customer was looking for the perfect gift to present his wife for their Anniversary, specifically a design that commemorated and celebrated the happy family they have created together. A design was drawn up by Julian and our client which was then realised in a sweet and stylish combination of precious metals to add depth, texture and a sense of individual members of the family unit. This lovely design shows this loving family of four joined together which each person retaining a sense of personality and uniqueness. This beautiful bespoke necklace is finished with a high shine polish and is strung on solid Sterling Silver Spiga chain.